Our practice is committed to providing you and your family with safe, gentle, high quality dental care. 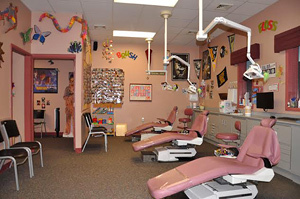 We understand that your child may feel anxious about visiting the dentist. We are sensitive to children's needs and it is our goal to make you feel comfortable visiting our practice while providing you with the best care possible. Your first visit is all about your child - their comfort, happiness, and health. We understand that your family has a busy schedule, so when you're preparing for a dental visit, please remember that an appointment can last between 20 to 40 minutes.